Where is River Run located? When is River Run open? Do the hours change when school begins? Yes, see the ticketing office or our Facebook page for the most up to date back to school hours. How much does it cost to enter the park daily? Entry is based on residency (Must show ID). Children 12 months and under are free. If you currently live in one place and have an ID from another, bring a piece of mail with your current address and we will honor that rate. What if a family member is staying with me for the weekend from out of state? What rate do they pay? They would pay the out of state rate. What if I don’t intend on swimming, do I still have to pay? Yes, all those entering the park must pay the daily rate. Does River Run offer season passes? Can I exit the park and re-enter on the same day? Yes, please see our ticketing office or bag check for a hand stamp. Do you have a prorated fee after a certain point in the day? Are season passes prorated after a certain date? Is River Run accessible for the disabled? River Run is compliant with all of the most recent ADA regulations. We strive to meet and exceed accessibility requirements. Please seek a manager if you have additional questions or concerns. Are pets allowed within River Run’s gates? Only service animals are allowed in. Does River Run accept credit cards? Yes, Visa and Master card. No checks. Why does my bag get checked every time? In order to ensure River Run remains a family friendly environment, we hold high standards in safety. Our gate attendants will gently check all bags upon entry. This is a requirement to enter the park. What is prohibited through the River Run gates? I heard River Run offers free Sunscreen and Lifejackets, is this true? You bet! We have sunscreen stations by our ticketing office as well as our First Aid Room. Remember, a little sunscreen goes a long way! Free, fitted lifejackets are available for use (must return) see the First Aid office to pick one up! How do I know if the parking lot is full? What is River Run’s severe weather policy? River Run will close for 30 minutes each time our lightning detector detects lightning within 15 miles of River Run OR management hears thunder. The 30 minute timer resets for each crack of thunder or bolt of lightning. The park may close for the remainder of the day if severe weather begins at or after 5pm. If there is heavy rainfall, strong wind or dense fog the water will be cleared until management deems it safe to swim again. Please monitor daily forecast before coming to River Run. No refunds will be given. No refunds are given in the event of severe weather or pool closings due to mechanical issues. Please monitor the weather before entering River Run. Do you have a concessions stand? See the Pricing page for the most updated concessions menu. What if I have a severe food allergy? Please alert our ticketing office upon arrival. They will provide you with an allergy food “permit” (card to display on your table). Please return after use. Does River Run have lockers? Are children required to wear swim diapers? Yes, those children wearing diapers must wear a swim diaper. They are available for purchase in concessions or ticketing for $2. Does River Run have a first aid office? Yes, located on the lower pool deck. River Run also has 2 AEDs on site as well as a full staff of CPR/AED & First Aid providers. All of our parks are smoke free environments. Smokers (including electronic devices) must exit and walk down to Daisy Lane to smoke. When is Lap Swim & Water Walking Offered? Check the Water Exercise page for exact times. Cost is $3/person per visit. No registration required. All participants must exit River Run after course and re-enter paying the daily rate if they chose to utilize the facility for normal operational hours. I would like to come for a water exercise course, how does that work? Check the Water Exercise page for a detailed rundown of our offerings. Cost is $3/person per course. No registration required. Absolutely! 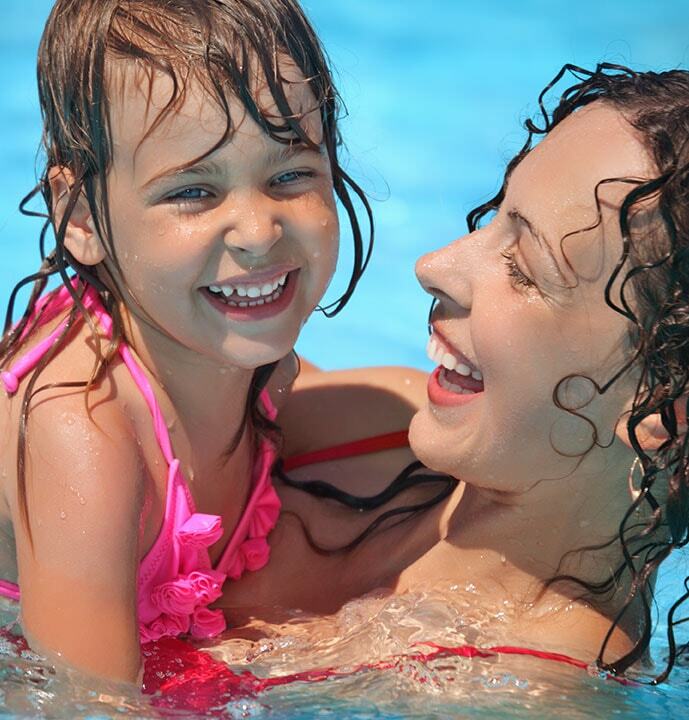 We are a proud provider of American Red Cross Swim Lessons. Two week (M-F), 10 -45 minute sessions. We also offer private/semi private lessons and triathlon training clinics. 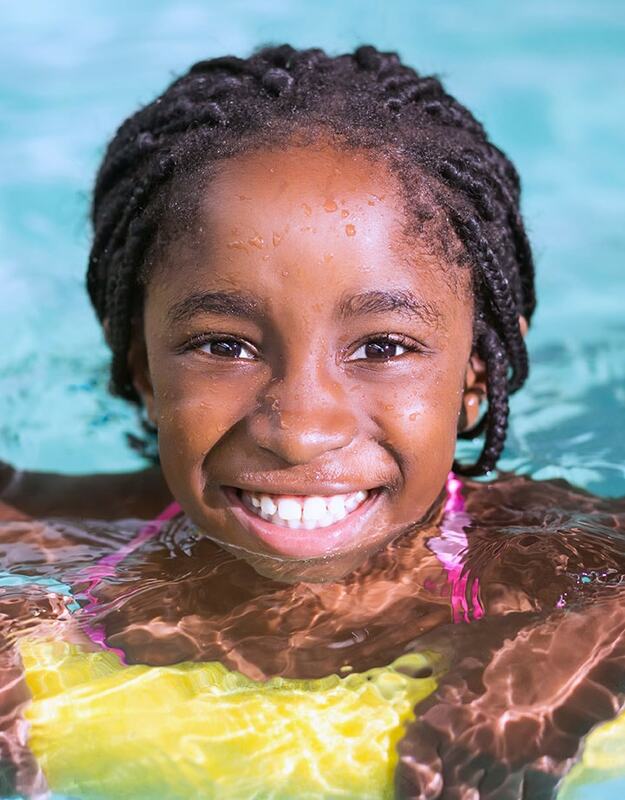 Check out the Swim Lessons page. How do I reserve a birthday party? Visit the Birthdays & Group Visits page and fill out the form. Please note: form must be submitted at least 48 hours ahead of time and does not guarantee a reservation. Available Birthday parties each day at 1pm, 2:30pm, 4pm. 1hr of party room time. 2hrs of pool time. $175 Floyd county residents and $200 for “other” residents. Must pay ahead of time at Silver Street Park, over the phone or via credit card online. What if it rains during my party? Party shall carry on unless severe weather causes a pool shut down. If severe weather is present and facility shut down is required. No refund shall be given. However, management will work with the party host to reschedule the party IF the closing occurs prior to 50% of the rental time has elapsed. (Ex. 90 minutes or less). Can I schedule a group visit? Visit the Birthdays & Group Visits page and fill out the form. We will get back to you after the form is completed. Please note: form must be submitted at least 48 hours ahead of time. Minimum of 15 people. Only accepted Monday - Thursdays and must pay on one ticket with credit card or cash at River Run. What if it rains during my group visit? Visit shall carry on unless severe weather causes a pool shut down. In the event of a severe weather closing, no refund shall be given. The group may work with management to reschedule a visit date IF the closing occurs prior to 50% of the rental time has elapsed. Does River Run offer private, after hour’s rentals? Yes! These rentals are available any night of the week that the pool is not being utilized for trainings or other private rentals. The timeframe for these rentals is 7:15pm - 9:15pm (sunlight permitting). The cost for a private rental is $1,500 for a max of 300 people. Payment is due in full to reserve the date. This price includes: A fully available waterpark with a staff of lifeguards and attendants. This does not include concessions. Groups may bring in food/beverages (non-alcoholic) or have the event catered. All normal facility rules still apply during private events. Party dates are non-transferable in the event of weather. Interested parties may fill out the contact us form or call 812-949-5448 (September-May) or 812-948-5380 (during season) for more information.